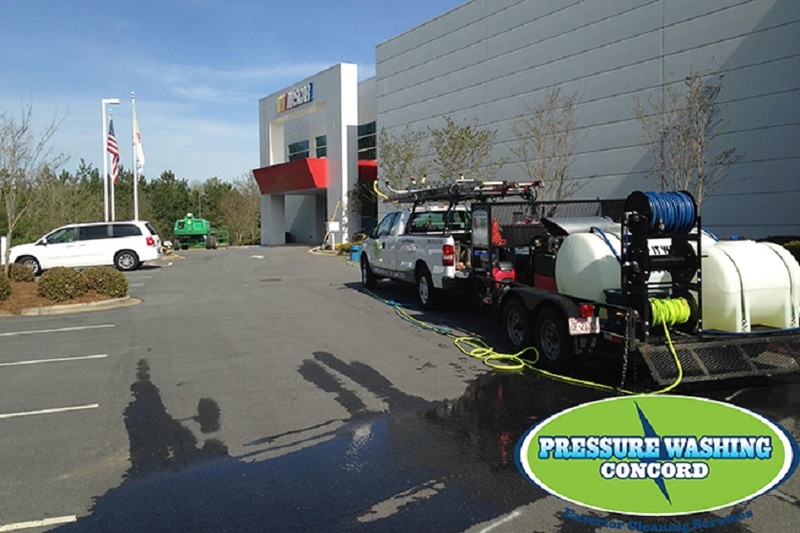 Pressure Washing Concord is Concord, NC's premium choice for residential and commercial pressure washing services. Pressure Washing Concord is a fully licensed, insured, and experienced cleaning company ready to succeed all of our clients expectations. We are Concord, NC's most trusted residential and commercial power washing company offering hot-and-cold water pressure washing services that can tackle both small and large cleaning projects. With years of experience we have the know-how to deep clean your property both safely and effectively. Call us today at 704 243-5831 or email sales@pressurewashingconcord.com for a free consultation and pricing for any of our Concord pressure washing services. We wash your Concord property with environmentally friendly soaps, high-quality detergents, and rinsing aids. High quality cleaning agents are the key to seek out spores of mold, mildew, and other forms of airborne pollutants that latch onto your siding. We are an eco-friendly pressure washing service in Concord, North Carolina. Our superior detergents and cleaning solutions are why we are Concords first choice for residential soft washing and commercial pressure washing services. Our cleaning process involves a low-pressure soap and rinse application. We don't push dirt and grime away with high pressure cleaning methods that can also damage soft surfaces. We use a mild, gentle spray to DEEP clean the exterior of your home or business. We are confident our Concord cleaning methods will exceed all of your expectations Call Pressure Washing Concord for a no-hassle soft washing demonstration at your Concord property! See the difference we can make with our cleaning detergents and process. 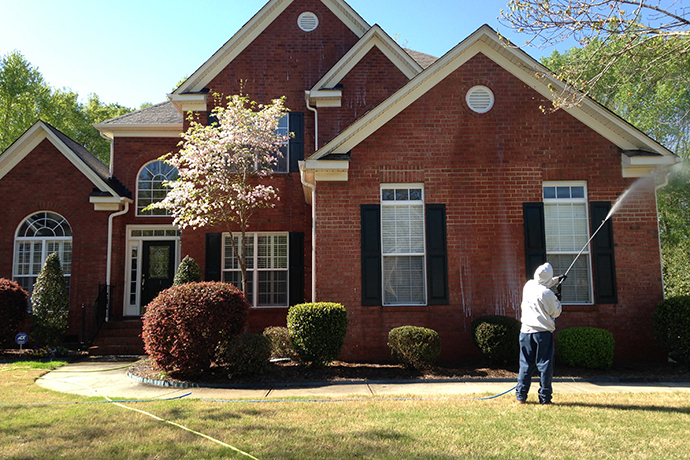 We are concord, SC premier residential exterior pressure washing service. Call Us today! We offer high quality steam cleaning services to all commercial customers in concord, NC. We are NC communities steam cleaning company! Call us today for a power washing quote. Pressure Washing Concord is a locally owned and operated Concord, NC pressure washing and house washing company. 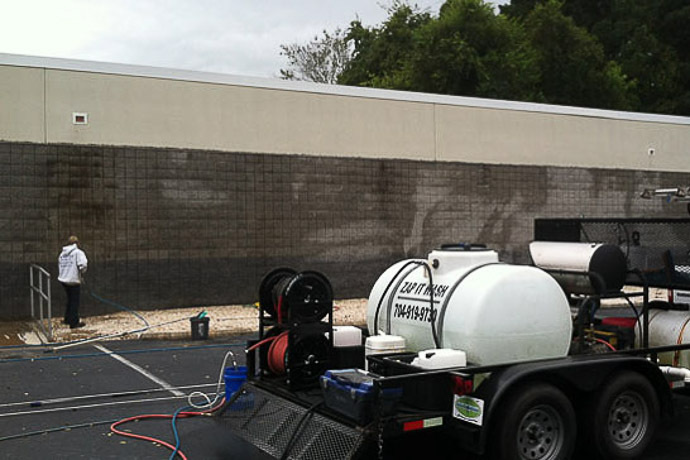 We effectively power wash everything from residential homes, commercial buildings and sidewalks, to multi-unit properties throughout Concord NC, and surrounding areas. We are committed to keeping up with the latest technology and cleaning methods, providing hassle-free and quick communication, and delivering the highest quality service.